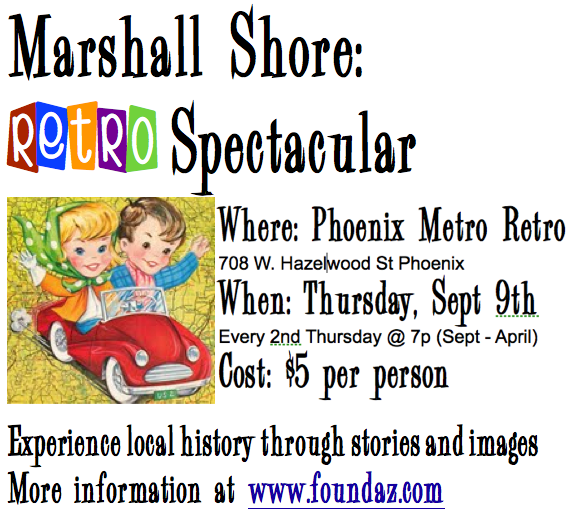 Yes, it's that time again and looking forward to a season of Marshall Shore: Retro Spectacular. I am already hard at work planning and researching the next season Sept. - April. In honor of the return by many to school the Sept Show is titled "My Summer." Where I will cover the exciting Summer that I had and will share lot's of great pic and stories.